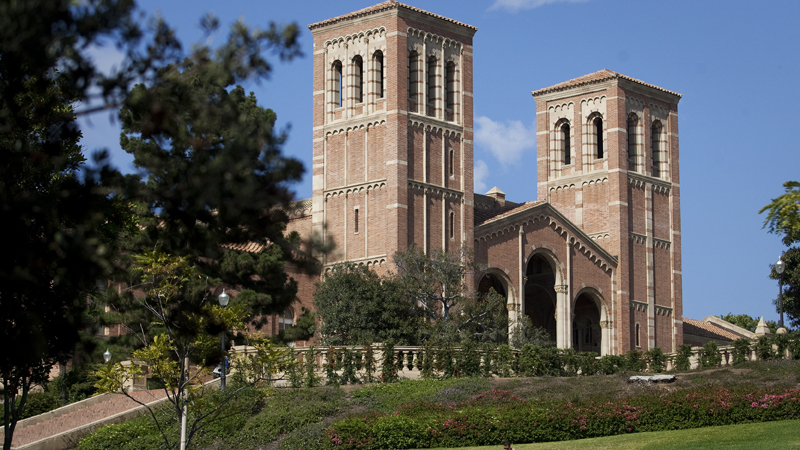 UCLA. MyNewsLA.com photo by John Schreiber. A former UCLA physician who alleges she was forced out of her job as director of the medical school’s lymphoma program because a male-dominated administration ignored her complaints of age and gender discrimination testified Tuesday that she suffered a backlash from supervisors for coming forward. 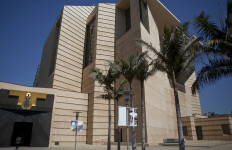 Dr. Lauren Pinter-Brown told a Los Angeles Superior Court jury hearing trial of her lawsuit against the University of California Board of Regents that a subordinate, Dr. Sven De Vos, constantly berated her and made her feel unsafe in the workplace, and her supervising professors never took action to correct the problem and instead turned on her. “All of a sudden I was like the gum on someone’s shoes,” the 63-year- old plaintiff testified. Pinter-Brown’s lawsuit, filed in June 2016, alleges age and gender discrimination, as well as harassment based on age. Making matters worse, UCLA put Pinter-Brown’s alleged tormenter, De Vos, in charge of the very lymphoma program she once headed, her attorney said. Pinter-Brown, who grew up in Los Angeles and first worked at UCLA as a candy striper-type volunteer, was put in charge of the medical school’s lymphoma program in 2005, Shegerian said. Lymphoma is the most common form of blood cancer and Pinter-Brown became an expert in the treatment of T-cell lymphoma, according to her attorney, who said she helped get government approval of a drug vital to lymphoma patients. “Before that, they had no chance of survival,” he said. He alleged that De Vos constantly dogged and berated Pinter-Brown, leaving her feeling threatened and humiliated. Her complaints fell on deaf ears and she left for UC Irvine in 2015, her attorney said. Jason Mills, a lawyer for the regents, countered that much of the conflict between Pinter-Brown and De Vos was rooted in their different ideas about how clinical trials should be conducted. In addition, some medical committee members became concerned about how Pinter-Brown’s trials were proceeding, resulting in the suspension of her research privileges in June 2012, Mills said. The research privileges were reinstated in Oct. 2013, but Pinter-Brown departed for UC Irvine in December 2015, he said. “Nobody discriminated against Dr. Pinter-Brown for any reason at all,” Mills said. Pinter-Brown testified that De Vos was inflexible after he took a stand on an issue and interrupted her when she tried to make her points. Pinter-Brown said she had worked with some male doctors with large egos, but that De Vos was unique. In October 2011, De Vos pointed his finger directly in her face and criticized her during an intense discussion about a clinical trial patient, leaving her shaking and crying, she said. The 5-foot, 3-inch Pinter-Brown said De Vos is well over 6 feet tall. “I ran for the door,” said Pinter-Brown, who added that she was determined De Vos would never harass her again.